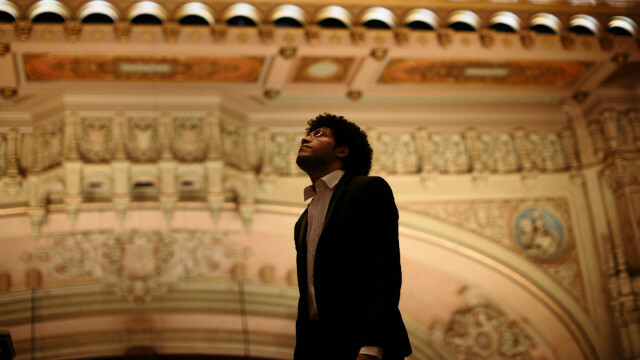 The San Diego Symphony‘s first season under music director Rafael Payare will feature Mahler’s dramatic Symphony No. 5 and seven contemporary works. The symphony announced this week that Payare will conduct 10 weeks of concerts during the 2019-2020 season, including the first five featuring Mahler, Beethoven, Tchaikovsky, Mozart, Bach and Strauss. Special guest artists this season will include Emanuel Ax, Yefim Bronfman, Pacho Flores, Leila Josefowicz, and Alisa Weilerstein, the acclaimed cellist who is Payare’s wife. Payare will be lead the U.S. premiere of Cuban-American composer Paquito D’Rivera’s new work co-commissioned with orchestras from Spain, Mexico and Norway. Payare’s programs will also include works by contemporary California composers Mason Bates and Andrew Norman. His first season as the symphony’s 13th music director will end with Beethoven’s iconic Symphony No. 9. “It is a wondrous experience to work with an incoming music director on his very first season. In 10 weeks of programs during the 2019-2020 season we will be immersed in Rafael Payare’s concept and vision for his future music making with our orchestra,” said symphony CEO Martha Gilmer. The symphony is offering new subscription options for this season, with packages starting at $48. A special package of seven Sunday concerts with Payare begins at $140. Subscriptions for 2019-2020 are available now, and single tickets go on sale Aug. 25. Complete details of the new season are available online.